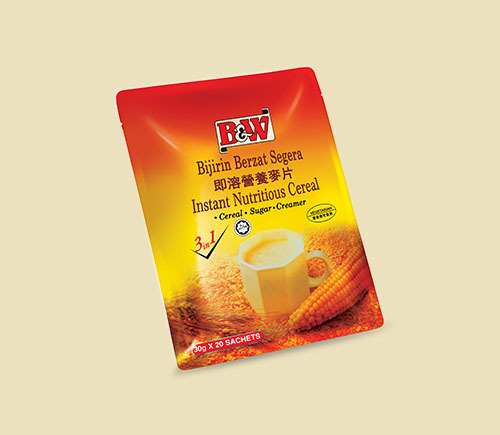 The instant Nutritious Cereal is prepared from malt extract, cereal, maize, sugar and non-dairy creamer, a highly nutritious cereal beverage which is ideal for the whole family. B & W Food Products Sdn. Bhd.